Whether you are updating your existing heating system or are embarking on a self-build project, the launch of Worcester's new Greenfloor underfloor heating system means the leading boiler manufacturer now offers a complete range of energy-efficient heating solutions for your home. Horndean Plumbing & Heating are specialists in providing underfloor heating for the home and the benefits for householders are many. Combined with the new Worcester Bosch Renewable Energy Products, underfloor heating can significantly reduce your home heating bills by as much as 40%. 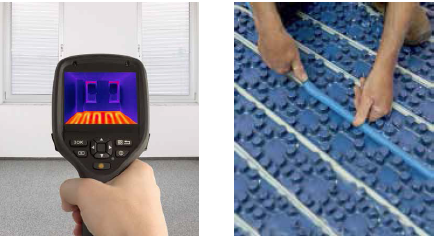 Far more cost efficient than conventional radiators, which heat the top of the room first, underfloor heating operates at lower temperatures distributing heat up in a uniform way to create a warm cosy environment that prevents cold spots, creates space and adds immediate significant value to your home. For a no obligation estimate please call 02392 617 683 or contact us.